The D2 Delta PX watch includes dozens of high end aviation features! Pulse OX sensors, smart features like Bluetooth and WiFi, Music Storage and more make the D2 Delta PX the most advanced of the D2 series of premium GPS aviation watches. Pulse OX Sensors in an Advanced Aviation Watch! The D2 Delta PX is the largest in size of the D2 series of aviator Smartwatches. 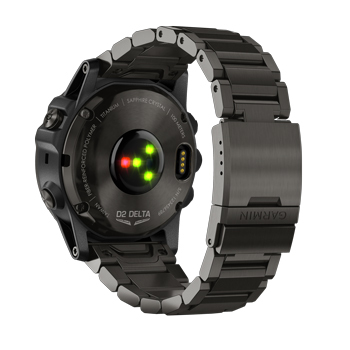 The Delta PX boasts a longer battery life than the D2 Delta or D2 Delta S. Take advantage of up to 20 days in Smartwatch mode, up to 32 hours in GPS mode or up to 70 hours in UltraTrac mode. The Delta PX won't let you down when you are in rugged conditions or on long haul flights. The Delta PX is a dependable and rugged aviation watch. Fiber-reinforced polymer casing and a domed sapphire crystal lens protect the display from harsh environments, while a water rating of 10 ATM keep the watch safe while swimming or showering. The wireless connectivity of the D2 PX allows it to connect easily with compatible Garmin avionics for flight plan transfer. Enjoy Smartwatch alerts like pressure altitude notifications, fuel tank timers and cross-track error notifications directly to your watch. The Delta d2 PX will automatically record important information in your flight logbook including date, duration, flight time and route. This information is then logged on flygarmin.com and the Garmin Pilot app. Up-to-date high resolution radar graphics, meteorological reports and terminal forecast information updates are available via Wi-Fi when connected with an internet connection. Convenience is at the forefront of the Delta PX. Never rummage around in your bag for a wallet or music player. Garmin Pay contactless payments let you pay with your watch. 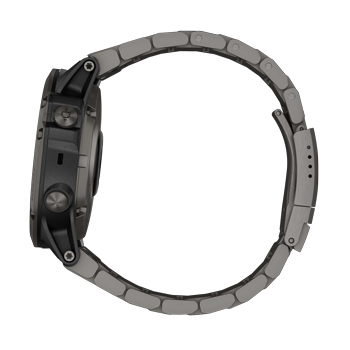 Enjoy listening to a song from your library of up to 500 songs housed directly on your watch. With an overall internal memory of 16 GB, the Delta PX will store an abundance of important information. Garmin has thought of it all when designing the Delta D2 PX. Monitoring your health and wellness has never been easier. The D2 Delta's built in wrist-based Pulse Oximeter monitors how well your body acclimates in high altitides with thin air. Other health and wellness features include sleep monitoring, Elevate wrist based heart rate technology, calorie counting and more. Multisport features are available for swimming, running, biking and more! 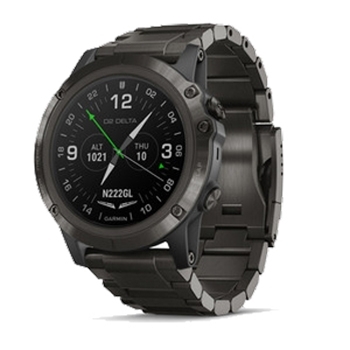 The Garmin D2 Delta PX is a high quality aviator Smartwatch with a multitude of advanced features! Garmin's HRM-Swim is designed specifically for swimmers. Designed with a non-slip strap, the HRM-Swim stores Heart Rate Data while underwater and Forwards to compatible Devices once out of the water. Perfect for Pool Swims, Open Water Swims and Multi-Sport activities that include Swimming. Attach your Forerunner, ForeTrex, Approach, quatix, Fenix, vivoactive 3 or tactix watches to your bike or cart and collect data. The units quickly and easily attach to the mount.